TOKYO – Mazda Motor reported a 17 percent drop in operating profit in the most recent quarter, hit by rising incentives, foreign exchange rate losses and increased investment in U.S. retail network reforms. The drop came despite higher vehicle sales and aggressive cost cutting. Operating profit declined to 33.08 billion yen ($298.9 million) in the fiscal first quarter ended June 30, Managing Executive Officer Tetsuya Fujimoto said Wednesday while announcing the Japanese carmaker’s quarterly earnings results. Net income fell 44 percent to 20.63 billion yen ($186.4 million) in the April-June period. Revenue increased 8.9 percent to 873.09 billion yen ($7.89 billion), as worldwide retail sales expanded 7 percent to 403,000 vehicles in the three-month period. Deteriorating wholesale mix trimmed operating profit by 6.0 billion yen ($54.2 million), as Mazda lifted spiffs by about 14 billion yen ($126.5 million) from a year earlier, said Naoki Kamemura, general manager of financial planning. Meanwhile, the Japanese yen’s appreciation against the U.S. dollar and other currencies took another bite. Exchange rates cut 2.5 billion yen ($22.6 million) off the quarterly operating profit. Increased outlays to restructure the U.S. sales network and to comply with new WLTP emissions regulations in the European Union further depressed global operating profit in the three-month period. New CEO Akira Marumoto, who took office in June, says his highest priority is spurring growth in the U.S., the carmaker’s biggest market. To do that, he wants to focus on strengthening Mazda's U.S. dealer network and making the most of its growing partnership with Toyota. Mazda expects U.S. sales to surge after it opens a plant in Alabama that it will jointly build with Toyota. At the moment Mazda imports all of its vehicles sold in the U.S. market, making it vulnerable both to any increase in import tariffs and currency fluctuations. Slated to open in 2021, the $1.6 billion plant will add 150,000 units of capacity to Mazda — all of which will be devoted to a new crossover for the U.S. Mazda hopes the plant eventually will help the carmaker to sell 2 million vehicles globally, from 1.7 million expected this year. Sales in North America rose 8.9 percent to 116,000 vehicles in the latest quarter, while regional operating profit nearly doubled to 13.1 billion yen ($118.4 million). European retail sales grew 5.2 percent to 67,000 vehicles in the three-month period. Mazda's operating profit in the region increased 25 percent to 1.8 billion yen ($16.3 million). 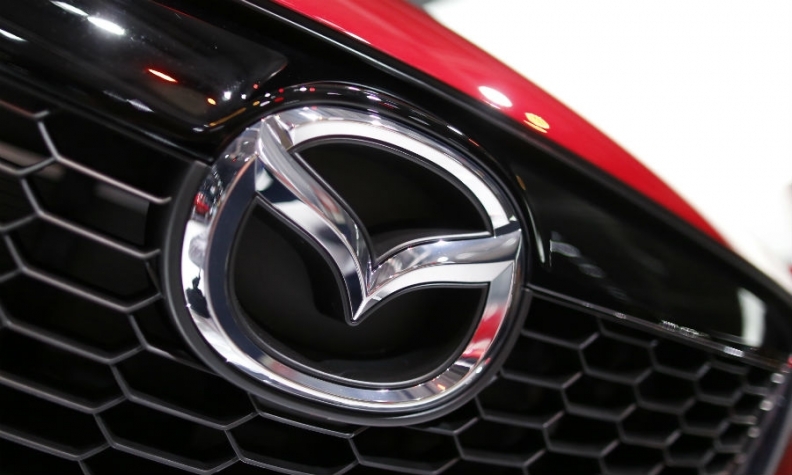 Mazda kept is outlook unchanged for the current fiscal year ending March 31, 2019. It expects operating profit to fall 28 percent and net income to decline 29 percent, mostly on the back of deteriorating foreign exchange rates. Global sales are seen increasing 2 percent to 1.7 million vehicles. North American volume is forecast to grow 5 percent to 457,000 vehicles, while Europe contracts 1 percent to 265,000.